We hope you have all been enjoying your break and the longer sun-fill ed days that spring brings. It’s hard to believe that April is already upon us. 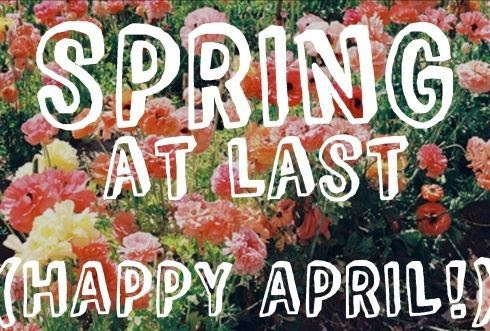 We are now entering the final quarter of the school year, and with that comes the inevitable bustling of student energy and the procession of springtime activities.We have lots of great community events coming your way in the coming weeks so be sure to check your eNews and teachers blogs often! For this coming week, on Wednesday 4/3 we have the monthly Walk and Roll to School Day (more info below). We are less than 2 weeks away from Soiree’. 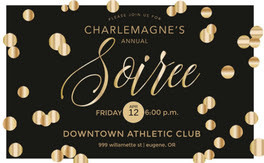 Happening Friday, April 12that the Downtown Athletic Club, Charlemagne’s premier fundraising event. Tickets are on sale. Limited space is available for on-site childcare so reserve your spot today. Lots more info below. Charlemagne’s biggest party and fundraiser is Here! Incredible trips, unique dinner parties, and lots of fun activities for the kids. This year’s auction will have something for everyone. There will be champagne, a delicious buffet dinner and on-site childcare available at the DAC. Reserve your spot today! This year’s Soiree will raise money for assistants and interns in our classrooms to maintain our low student to teacher ratios. As parents, you know assistants provide an integral service by assisting in classrooms, reducing our student to teacher ratio, providing supervision on the playground, and sharing French culture. They also help to reduce distractions, workload, and stress for teachers and students. Interested in donating to auction? We love to promote Charlemagne family businesses! Elisha Hibbard (elishahocking@mac.com) for more details. In celebration of Earth Day, tell your kids that when they walk, bike, carpool or ride the bus to school, they’re doing something great for the planet and for their friends! Fewer cars driving to our school means less air pollution around our school, which means easier breathing for our kids and the earth! Science Fair is this THURSDAY!! Happening this Thursday, April 4th from 3-6pm in the school gymnasium! You do not have to pre-register to participate. Just bring your project during times listed below. Tri-fold boards (to display your project) are available for sale. Put $3 in the box near the office and get your board from Room 1. Sign up forms will go home this week. Please return the registration forms to the folder near the office. The third grade will be selling food and drinks to raise money for their class trip to Canoe Island. The Science Fair is a great time to view cool projects and be amazed by the creative kids in our school. Want to help volunteer? We can use your help. Please follow this link. On Thursday, April 4th, the Red Cross will be offering a free community program at South Eugene High School’s Auditorium from 6pm-7:30pmcalled Prepare Out Loud that will focus on the Cascadia Subduction Zone and overall individual/family emergency preparedness tips. There will be a preparedness fair from 5:00-6:00pm ahead of the program to receive a variety of emergency preparedness information from community partners, attached is the event flyer. This program is open to the whole community, we welcome businesses, nonprofits, individuals, families, faith organizations as all will be affected during a Cascadia event or other local disasters. The recent snowstorm affected some neighborhoods & communities in Lane County for several days without power and/or damaged houses. It is always good to be prepared! Winter Session Of Afterschool Golf & Tennis Starts Soon!! All levels K-6th are welcome whether you are brand new, or you are trying to earn your next TGA color level. TGA brings the golf course and tennis court to you, making it convenient and affordable to learn and play golf or tennis right on your school campus in a fun and safe environment. All equipment is provided! Financial aid is available! Sign up today at www.playtga.com/soregon! For the 2018/2019 school year, Treetop Academics will offer after-school classes to 1st-5th grade Charlemagne students in Science. We provide academically enriching project-based opportunities that put students at the center of learning. Our on-site after-school Charlemagne Science class is designed to inspire kids to explore & create, use their faculties to the best of their individual ability, and test their theories about their own learning through practice, exploration, and support. In all our programs, your child will be engaged in daily project-based curriculum and activities with a focus on learning and having fun while doing it! Each term Treetop Academics will offer a different themed Science class for students, on-site at your school. Please see our website with updated information about this term’s Science subject, online registration, and cost. Our no-school day events (‘Hackathons’) are also open to Charlemagne students, as well as any ‘extended-year’ summer camps. We are dedicated to providing meaningful, hands-on, project-based, and student-centered educational opportunities through best teaching practices and age-appropriate curriculum to your elementary school students. 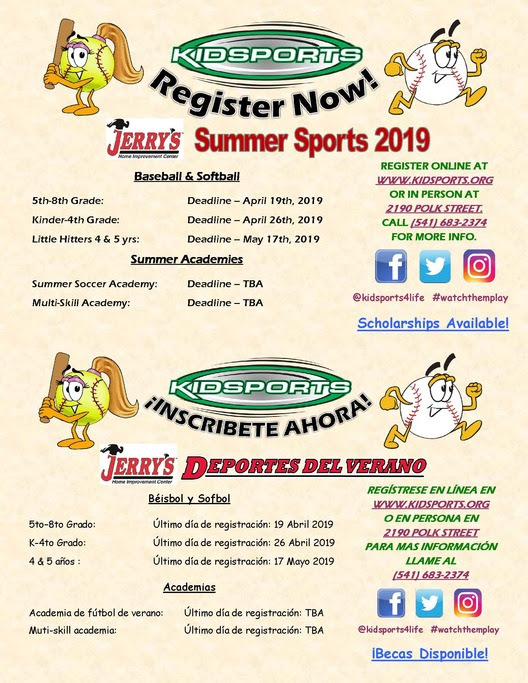 This event is open to all K-8 students and is just around the corner on April13th, 2019 from 11am-3pm. Please share information about this event with any of your colleagues or families that you think may be interested in. The UO Science Fair features not only great original science projects by area students, but also many hands-on outreach activities. The event is free and open to the public. Please email Debra McIntosh for more info. Hosting is an amazing experience that enriches your family as well as our school! We are still looking for one more host family for the end of this year as well as host families for next year. If you have any questions and would like to host please contact us! Thank you to everyone who has made a contribution to our direct drive this past month. To keep our work going, in this season of giving, we hope you will consider a generous donation to the Charlemagne PTO, our non-profit organization. Your contribution ensures an outstanding experience for every French Immersion student from kindergarten to 5th grade. All of the funds we raise from the Charlemagne PTO goes to directly subsidize staffing needs. Our campaign will run throughout the year. Send a check to Charlemagne PTO at the school: 3875 Kincaid Street, Eugene, OR., 97405. For your records, our tax ID number is 46-1825220. We recognize not every family can contribute equally to a direct drive request. We also know our families give in other equally important ways and are grateful for the time spent in classrooms and at community events. We recognize all types of support are necessary and valuable to the success of our school! While shopping this holiday season please consider supporting these businesses as they will donate a percentage of your purchases to the school. This is free money for our school of the purchases you already are making. All you need to do is to sign up and keep your information up to date. Amazon Smile: 1) go to https://smile.amazon.com/; 2) type in ‘Charlemagne at Fox Hollow PTO Company’ & then select. AmazonSmile uses the same log in as your regular Amazon account. But you must shop at smile.amazon.com to contribute.